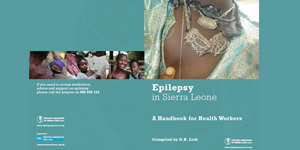 Our Mission: To respond to the desperate needs for medication, social care and reintegration of people living with epilepsy who face exclusion and isolation in Sierra Leone. OUR VISION: A society where everyone understands epilepsy and where attitudes towards the diseases are based on facts. The Association is headed full time by its funder and coordinator who report to the Administrative Band of Trustees (5) and in an Annual General Meeting of the general membership. EASL employs a project officer, Gender Officer and two trained and qualified CHO’s who conduct outreach clinics in all the districts. EASL has a voluntary consultant Neurologist (Epilepsy Specialist) who provides technical support and trainings to community Health Workers and Primary Health care Staff in the country, two medical Doctor and two epilepsy Nurses in its membership. EASL contracted thirteen (13) District Epilepsy Support Workers positioned in the different districts to advise and support those with epilepsy and their families, with four training instructors in the vocational institute with experience in epilepsy issues for the past ten years. EASL runs a Vocational Training Institute (Love Institute) located at its Head quarters in Rokupa which provides skills training for youths particularly women, with epilepsy. Presently the institute has twenty (20) young people enrolled for basic training in tailoring; tie dyeing, Soap Making, Weaving and Literacy. With its ambitious aims and objectives EASL remains to be weak in its implementation of its planned activities as the following weakness are envisaged.